We track down some of the most established names in the affiliate space for our Affiliate Profile. This week, Stoiximan Head of Marketing & Communications Christos Tzalavras reflects on his ascent through the industry, discusses why his firm have chosen to sponsor a number of football teams and offers advice on what makes a successful affiliate program. 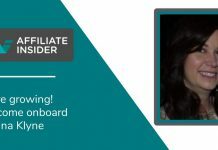 AffiliateINSIDER: Can you begin by introducing your history in the casino and affiliate space, and describing how you landed your current role with Stoiximan. 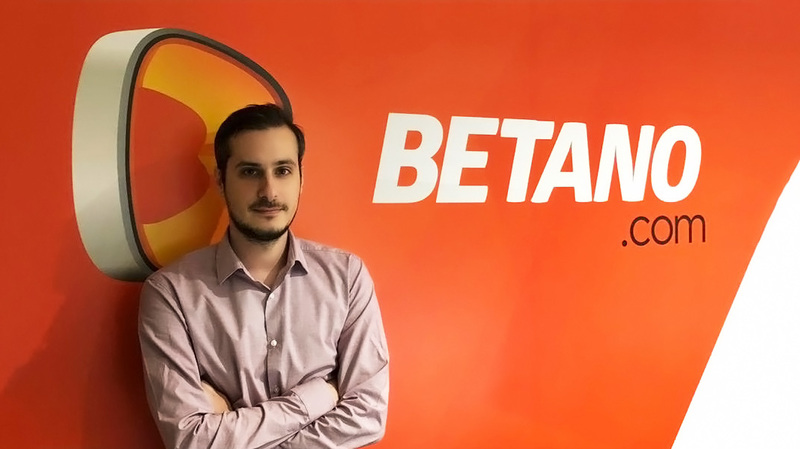 Christos Tzalavras: Currently, I am the Head of Marketing & Communications for Stoiximan & Betano. I have been a member of the organization for over six years now and it has been quite a journey to say the least! I have been part of the Marketing & Communications team for nearly five years, having previously been a member of our “star” CRM & Customer Service teams. These have been my stops within the organization, that provided me with a great deal of experience regarding our product and mainly on how to be able to acknowledge a customer’s needs and being customer-focused throughout my days in Marketing. For the past five years, I have been involved more or less with all sorts of Marketing aspects them being strategy, 360 campaigning & advertising (TV, Radio, OOH, Digital), affiliate marketing, media buying, all things digital (Social Media, PPC, Email Mrk etc.) and content. Affiliation, campaigning & media, have been the key areas I have been focusing on & becoming experienced upon, always as part of an exceptional team. AI: For those who are uninitiated, can you introduce Stoiximan as a company. CT: Stoiximan introduced itself in Greece in 2012, and despite the difficulties that we did have to face as a team, our flair and working spirit to provide a different top-tier operator option, steadily start gaining momentum and we are now proudly looking back to our 25 employees in 2012, with a headcount that has already surpassed the 515 employees and still growing. During the process, our international brand Betano came along. In total, we are currently operating in 5 markets, Greece & Cyprus (under the Stoiximan brand), Romania, Germany & Austria (under the Betano brand). By Q1 2019 we will be up and running in a 6th market as well. In Greece, Cyprus and Romania we are proud to have already position ourselves among the market leaders. We are a game-tech company mainly consisting of young & energetic people (average age 31 years old) feeling the need to create & improve, with offices located in Athens and Thessaloniki, while having exceptional local teams and partners across Europe. Our product depth and the quality of our services have heavily contributed in our success so far, working in absolute synch with our “obsession” for product enhancement & innovation. Moreover, our marketing and business approach have set the grounds for our growth; we invest heavily in marketing, by sponsoring great football powerhouses (Olympiacos FC & PAOK in Greece), Olympic gold medalists and the Greek Olympic Committee; Un. Craiova and the Liga 1 Betano in Romania (Romanian Premier League football), Apollon Limassol in Cyprus and lately we have added a betting partnership with VfB Stuttgart (Bundesliga) & a sponsorship of EHF Champions League of handball. Last but not least, our CSR strategy is an inseparable part of our identity, highlighting that we -as a brand- are here to do things differently, we are here to offer a means of entertainment, a responsible gaming option, while giving back to society. AI: What advice would you give to budding firms looking to build a successful affiliate program? 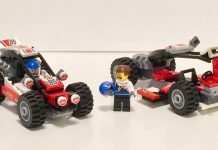 CT: I would suggest all affiliate teams to treat every affiliate partner differently and focus on their specific needs even though it does need resources and, in some cases, can be extremely demanding! Our affiliate team creates and encourages an honest communication with our partners, we share our overall topline approach before getting into specifics in order to identify from the beginning if there is a common ground for a solid partnership. At Stoiximan & Betano our goal is to create long lasting partnerships with our affiliates, that are based on win-win deals. We are always looking for partners that are willing to try new things and challenge “the way we do things”! This is a fast-paced industry, we are learning daily and affiliates can be a great source of knowledge. Our motto within the affiliate team is: “Use their feedback”! 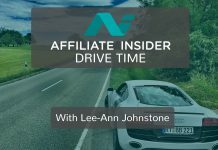 Affiliates are one of the direct liaisons between your brand and your potential customers, so they might be aware of blind spots much sooner than you and your team will ever be. They could identify mistakes in your team’s approach and taking seriously into account what they suggest, and offer, could potentially save you and your team a lot of time and money. All in all, if you are sharing our continuous improvement mentality, then probably you are a great potential partner for Stoiximan & Betano. AI: Stoiximan currently can’t be accessed in the UK. How big a stumbling block is this? CT: I wouldn’t consider this as a stumble. The UK market is out of our expansion plans at the moment; we are mainly focusing on newly, or soon to be, regulated markets and all our efforts have been towards discovering the next business opportunity (as in new market) while strengthening our position in markets we are currently operating in. AI: And finally, what are your hopes and aspirations for Stoiximan, both short-term and long-term? CT: Offering localised top-tier services on all the markets we are operating, is our first and most important goal as we speak. We believe that by achieving our desirable level of quality, in both our services & product will enable us in growing even more and making Stoiximan & Betano an international success story. We are extremely confident that with hard work, respect for our members, competitors and industry, and our continuous improvement culture we will get there. Hopefully, we will keep making… mistakes and keep learning from them. As an organization we strongly believe that our past mistakes have contributed in surpassing ourselves and were the key factors that made us achieve the things we have achieved so far. Moreover, and with a view towards the future, we would like, through our approach, to contribute in the improvement of our industry’s perception. I think we – as an industry – have made steps forward, but there is still distance that needs to be covered. We invest, we localise, we give back and we intend to do so for a long time to come.